One recent discovery of interest is 2012VP113, nicknamed Biden, a dwarf planet about 450 km in diameter found to be orbiting our sun in a pattern quite similar to Sedna, one of the largest dwarfs, discovered in 2002. 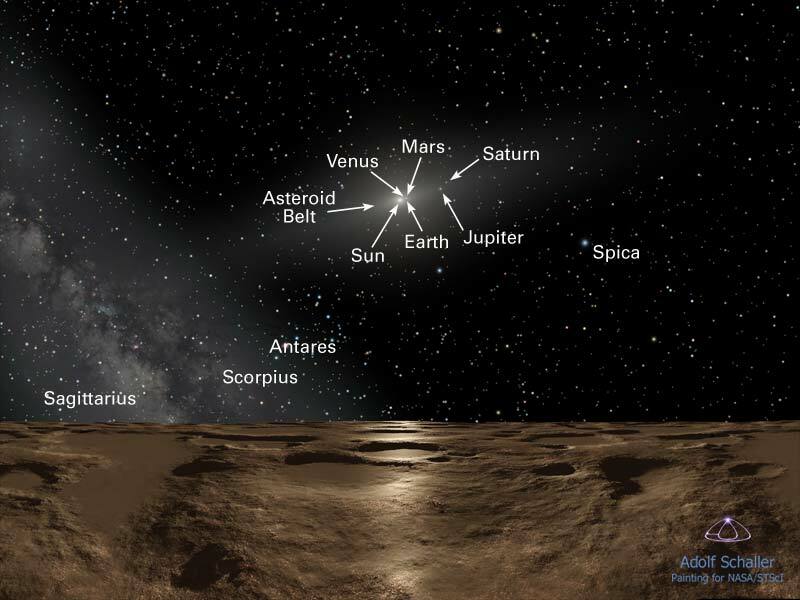 Mike Brown, an astrophysicist at Caltech, famed for killing Pluto by his discovery of so many of these minor planets, was the first to note that Sedna cannot exist in its current position without the gravitational help of some unseen body. The discovery of Biden only underlines this point and heightens the quest for a large mass affecting our solar system. But where and how big? Two Spanish astronomers, Carlos and Raul de la Fuente Marcos, at the Complutense University of Madrid in Spain, have examined these distant dwarfs and noticed some unusual patterns. They have concluded that because Biden and Sedna are not large enough to exert much influence on each other, they must be kept in their place by not one but two large undiscovered planets that each has a mass of at least ten times that of the earth. Furthermore, these mega planets are required to be at least 200 to 250 AU away from the sun (one AU or astronomical unit is equivalent to the distance between the sun and the earth). 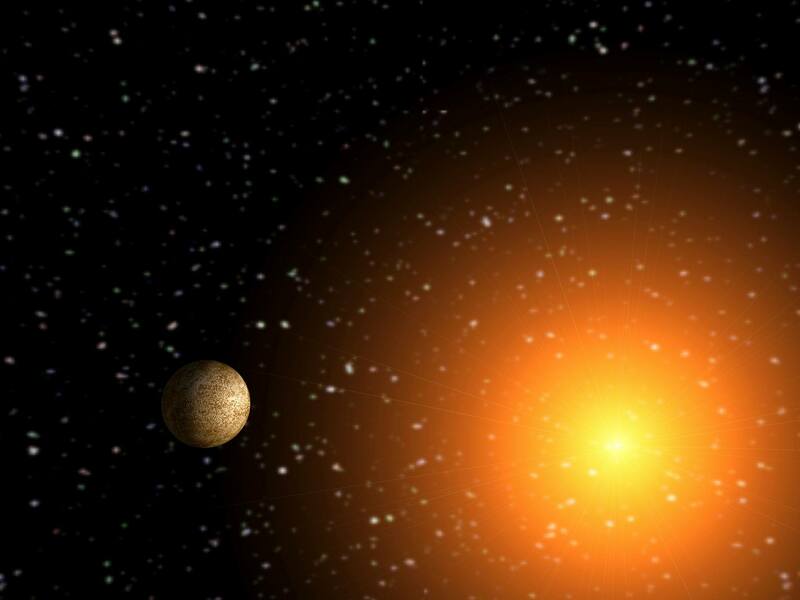 The Binary Research Institute has long hypothesized that there must be another large mass, most likely a companion star, that affects our solar system. In BRI’s view, such a mass is required not only to explain the incline of these outer dwarf planet orbits to the plane of the major planets (for example Pluto’s orbit is inclined about 17 degrees) but also as a way to explain the changing orientation of the entire solar system to the fixed stars by about 50 arc seconds per year, a.k.a. precession. In such a model the orbits of these dwarfs are not unexpected. While the Spanish astronomers are not saying the mass affecting our solar system is a companion star, their assumptions concerning the large mass and great distance of their hypothetical planets, are clearly moving us in BRI’s direction. Year by year mainstream astronomy is getting closer to the idea there must be something big out there, and it is influencing our solar system in ways heretofore unknown. But it is not just the position of these orbits that is so interesting. The most confirming fact from a Great Year perspective is that the orbital periods of these new dwarf planets are in resonance with known Great Year periodicities. And the Spanish astronomers are indeed talking about these resonances. Planets or moons moving in resonance with one another are a sign of gravitational influences and an indication that these bodies have been dancing together for very long periods of time – and not just due to some random star passing by disturbing a planet out of its orbit. As stated, the resonances of the newly discovered dwarfs are quite confirming to anyone studying the 24,000-year precessional cycle. For example, Sedna orbits the sun in 12,000 years, once per Yuga or twice per Yuga cycle (one complete precessional cycle after applying Kepler’s laws to the current observed rate of about 25,770 years). And Biden’s orbit is in a 3:1 ratio to Sedna, meaning it orbits the sun three times per Yuga, and six times in a complete Yuga cycle. For those that study planetary resonances and understand the Great Year cycle, this supports the 24,000-year precession cycle to a tee! From the point of view of this Yuga observer that “structure” will eventually be found to contain a mass equivalent to a companion star. This mass, which along with our sun, appears to complete one revolution through the constellations of the zodiac in about 24,000 years (only appearing to move slightly slower now as we are closer to apoapsis than periapsis). Please note, we mention the zodiac here only because it serves as a way to measure the observed motion of the sun as it moves through the sky. The sun, observed at the same time each year, can be seen to move through these twelve constellations at the rate of about 2000 years each. Add this information to a steady increase in the rate of precession, which looks more like an orbit pattern following Kepler’s Laws than any local wobble phenomenon, and we see evidence of a solar system in motion. The pieces are coming together! Please join us at the10th Annual 2016 Conference on Precession and Ancient Knowledge. This year’s event will take place September 31 to October 2nd at the beautiful Westin Hotel in Rancho Mirage California. For more information go to www.cycleoftheages.org or phone Sandy at 949- 399-9000. Seven years ago, the moment I first calculated the odd orbit of Sedna and realized it never came anywhere close to any of the planets, it instantly became clear that we astronomers had been missing something all along. Either something large once passed through the outer parts of our solar system and is now long gone, or something large still lurks in a distant corner out there and we haven’t found it yet. Seven years ago this week I was preparing one of my favorite lectures for The Formation and Evolution of Planetary Systems, a class I frequently teach at Caltech. “Preparing” is probably the wrong word here, because this lecture, called The Edge of the Solar System, was one I could give even if instantly wakened from a cold deep sleep and immediately put on stage with bright lights in my eyes and an audience of thousands and no coffee anywhere in sight. The lecture explored what was known about the edge of our main planetary system and the ragged belt of debris called the Kuiper belt that quickly faded to empty space not that much beyond Neptune. Conveniently, one of my most active areas of research at that time was trying to figure out precisely why this ragged belt of debris had such an edge to it and why there appeared to be nothing at all beyond that edge. I could wing it. So instead of preparing the lecture, I really spent that morning doing what I did whenever I had a few spare moments: staring at dozens of little postage-stamp cutouts of pictures of the sky that my telescope had taken the night before and my computer had flagged as potentially interesting. Interesting, to my computer, and to me, meant that in the middle of the postage stamp was something that was moving across the sky at the right rate to mark it as part of the Kuiper belt. I was not just lecturing about this debris at the edge of the solar system, I was looking for more of it, too. Search for the 9th Planet!